When you graduated, you first think about the job which should be money oriented and have the right career in long-term aspect. Getting government job in the Country like India is not easy work. Since aIndia is the country which is highly populated and has a vast number of human resource. Everyone has talent, nd the competition for the Government job is increasing day by day. There is the various department in India which offers regular vacancies, but IBPS is one of the most promising careers and money oriented field which makes you known person in the Field of Banking. IBPS stands for Institute of Banking Personnel Selection which is an autonomous and independent body which recruits the candidate for Public Sector Banks. IBPS is the very competitive exam, and that is why people are not able to make this exam very quickly. Lots of aspirants are working hard and studying day and night to pass the IBPS Exam. 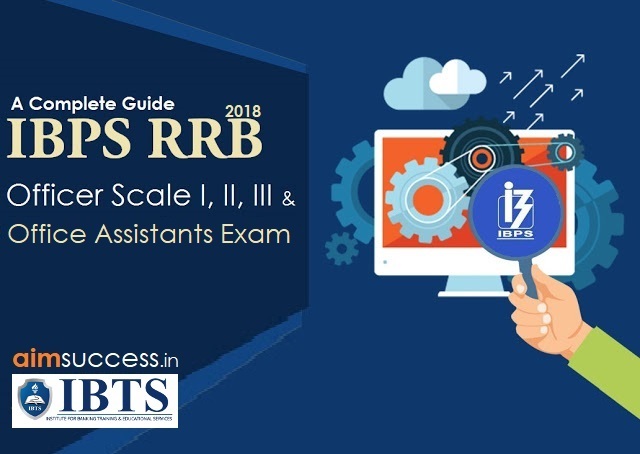 Here in this article,, we will discuss complete information about IBPS RRB Common Recruitment Process for (Recruitment of Officers (Scale-I, II & III) and Office Assistants (Multipurpose) in Regional Rural Banks (RRBs). The online examination for the next Common Recruitment Process for RRBs (RRBs- CWE [Common Written Exam -V) for recruitment of Group “A”-Officers (Scale-I, II & III) and Group “B”-Office Assistants (Multipurpose) will be conducted by the Institute of Banking Personnel Selection (IBPS) tentatively in November and December 2016. Any eligible candidate, who aspires to join any of the Regional Rural Banks listed at (A) as Group “A”-Officers (Scale- I, II & III) and Group “B”-Office Assistants (Multipurpose), is required to register for the Common Recruitment Process (CWE for RRBs-V). For the posts of Officers Scale I and Office Assistants (Multi-purpose) the exam is conducted in two phases. Candidates who want to apply for the job profile of OA (Office Assistants) (Multi-purpose) will be provisionally allotted from the marks obtained by them in the Main examination and the vacancies reported by the RRBs. For the post of Officers Scale I, candidates who will qualify in preliminary examination and shortlisted will have to appear for the Main Examination and shortlisted candidates in the main examination will subsequently be called for a Common Interview to be coordinated by the Nodal Regional Rural Banks with the help of NABARD and IBPS in consultation with appropriate authority. The candidates are allotted to the Regional Rural Banks as per the business need of the RRBs to the IBPS. The name of the candidates is allotted as per the merit list. The more marks, the chances are more to get the Regional Rural bank. (state wise for Officers in Scale I and Office Assistants (Multipurpose)), the spirit of Govt. Guidelines on reservation policy, administrative convenience, etc. The validity for CWE for RRBs-V will automatically expire at the close of business on the day which is one year after the date of Provisional Allotment or until a fresh provisional allotment is made, whichever is earlier, with or without giving any notice. IBPS, an autonomous body, has received a mandate from the organizations mentioned at (A) below, to conduct the recruitment process as noted above, once a year. IBPS will make arrangements for conducting online preliminary examination for Officers Scale I and Office Assistants (Multipurpose) and declare the result of an online preliminary examination. IBPS will inform the shortlisted candidates about the main online examination. There will be a single level examination for Officers Scale II and Officers Scale III. Interviews will be coordinated by Nodal Regional Rural Bank with the help of NABARD and IBPS in consultation with appropriate authority. For Office Assistants (Multipurpose), the final allotment will be done by the candidate’s performance in the Online main examination and the vacancies reported by the RRBs. 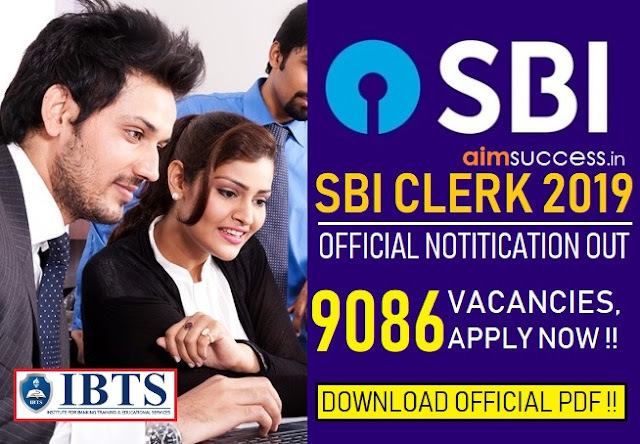 Prospective candidates will have to apply to IBPS after carefully reading the advertisement regarding the process of examinations, interview and provisional allotment, eligibility criteria, online registration processes, payment of prescribed application fee / intimation charges, pattern of examination, issuance of call letters etc. 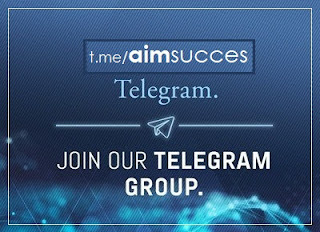 and ensure that they fulfil the stipulated criteria and follow the prescribed processes. Candidates are advised to regularly keen in touch with the authorised TBPS website www.ibns.in for details and updates. A candidate can apply for the Post of Office Assistant (Multipurpose) and can also apply for the Post of Officer. However a candidate can apply for only one post in officer’s cadre i.e. for Officer Scale-T or Scale-TT or Scale-TTT. Prospective Candidates should ensure that they fulfill the specified eligibility criteria before applying for the CWE. Candidates may please note that the eligibility criteria specified is the basic criteria for appointment to the aforesaid posts in the Regional Rural Banks. However merely applying for, qualifying in CWE and getting provisio nally allotted in one of the RRBs does not imply that a candidate will necessarily be eligible for employment in any of the Regional Rural Banks. That is expressly clarified that the ultimate authority for recruitment is the Regional Rural Bank itself. The RRB concerned may, in its sole discretion, reject the candidature of anyone provisionally allotted to it through the CWE. Please note that the eligibility criteria specified herein are the basic criteria for applying for the post. Candidates must necessarily produce the relevant documents in original and a photocopy in support of their identity. Eligibility -pertaining to category, nationality, age, educational qualifications etc, as indicated in the online application form. Merely applying for CWE/ appearing for and being shortlisted in CWE (preliminary and main) and/or in the subsequent interview and/or provisionally allotted and/or subsequent processes do not imply that a candidate will necessarily be offered employment in any of the Regional Rural Banks.
. No request for considering the candidature under any category other than the one in which one has applied will be entertained. The relaxation in upper age limit to SC/ST/OBC candidates is allowed on cumulative basis together with only one of the remaining categories for which age relaxation is permitted as mentioned above at Sr. Nos. 3 to 7 in the above Table. Candidates applying for the posts of Officers Scale I, II and III, seeking age relaxation, will be required to submit copies of necessary certificate(s) at the time of Interview co-ordinated by the Nodal RRB with the help of NABARD and IBPS in consultation with appropriate authority, if shortlisted for interview. Candidates applying for the post of Office Assistants must produce the above mentioned documents at the time of verification of documents on the day of / before the day of joining the allotted RRB, if provisionally allotted. In case of candidates belonging to OBC category, certificate should specifically contain a clause that the candidate does not belong to creamy layer section excluded from the benefits of reservation for Other Backward Classes in Civil post & services under Government of India. Candidates belonging to OBC category but coming under creamy layer are not entitled to OBC reservation. They should indicate their category as General in the online application form. Ex-Servicemen candidates who have already secured employment under the Central Government in Group ‘C’ & ‘D’ will be permitted the benefit of age relaxation as prescribed for Ex-Servicemen for securing another employment in a higher grade or cadre in Group ‘C’/ ‘D’ under the Central Government. However, such candidates will not be eligible for the benefit of reservation on the second occasion for Ex-Servicemen in Central Government jobs. An ex-Servicemen who has once joined a Government job on civil side after availing of the benefits given to him/her as an Ex-Servicemen for his/her re-employment, his/her Ex-Servicemen status for the purpose for further employment on the civil side ceases. The persons serving in the Armed Forces of the Union, who on retirement from service, would come under the category of ‘ex-servicemen’ may apply for re-employment one year before the completion of the specified term of engagement (from the last date of application) and avail themselves of all concessions available to ex-servicemen but shall not be permitted to leave the uniform until they complete the specified term of engagement in the Armed Forces of the Union. The scribe arranged by the candidate should not be a candidate for the examination (RRB CWE V). If violation of the above is detected at any stage of the process, candidature for CWE of both the candidate and the scribe will be canceled. Candidates eligible for and who wish to use the services of a scribe in the examination should invariably carefully indicate the same in the online application form. Any subsequent request may not be favorably entertained. Only candidates registered for compensatory time will be allowed such cncessions since compensatory time given to candidates shall be system based, it shall not be possible for the test conducting agency to allow such time if he / she is not registered for the same. Candidates not registered for compensatory time shall not be allowed such concessions. Ex-Servicemen (EXSM): Only those candidates shall be treated as Ex-servicemen who fulfill the revised definition as laid down in Government of India, Ministry of Home Affairs, Department of Personnel & Administrative Reforms Notification No.36034/5/85 Estt. (SCT) dated 27.10.1986 as amended from time to time. (c) fighting against armed hostiles in a counter insurgency environment viz: Nagaland, Mizoram, etc. (h) IPKF Personnel killed during the operations in Sri Lanka. Important: – Govt. Guidelines regarding Definitions, relaxation etc. are subject to change from time to time. Tt is expressly clarified that any person who is employed hy any hranch of the armed services at the time of submission of his/her application form cannot he considered as an Ex-Serviceman unless he/she fulfils the prescribed conditions mentioned in the Advertisement. Officer Scale-II General Banking Officer Preference will be given to the candidates having degree in Agriculture| Horticulture| Forestry| Animal Husbandry| Veterinary Science| Agricultural Engineering| Pisciculture| Agricultural Marketing and Cooperation| Information Technology| Management| Law| Economics and Accountancy| ii.Proficiency in local language as prescribed by the participating RRB/s* | iii. Computer knowledge or awareness will be an added qualification. - Two years as an officer in a Bank or Financial Institution. All the educational qualifications mentioned should be from a University/ Institution/ Board recognised by Govt. Of India/ approved by Govt. Regulatory Bodies and the result should have been declared on or before 30.09.2016. Proper document from Board / University for having declared the result on or before 30.09.2016 has to be submitted at the time of interview for the posts of Officers (Scale I, II and III) and at the time of joining for the post of Office Assistants (Multipurpose). The date of passing the eligibility examination will be the date appearing on the mark-sheet or provisional certificate issued by University / Institute. In case the result of a particular examination is posted on the website of the University / Institute and web based certificate is issued then proper document/certificate in original issued and signed by the appropriate authority of the University / Institute indicating the date of passing properly mentioned thereon will be reckoned for verification and further process. Candidate should indicate the percentage obtained in Graduation calculated to the nearest two decimals in the online application. Where CGPA / OGPA is awarded, the same should be converted into percentage and indicated in online application. If called for the interview , the candidate will have to produce a certificate issued by the appropriate authority inter alia stating that the norms of the University regarding conversion of grade into percentage and the percentage of marks scored by the candidate in terms of norms. Calculation of Percentage: The percentage marks shall be arrived at by dividing the total marks obtained by the candidate in all the subjects in all semester(s)/year(s) by aggregate maximum marks in all the subjects irrespective of honours / optional / additional optional subject, if any. This will be applicable for those Universities also where Class / Grade is decided on basis of Honours marks only. The fraction of percentage so arrived will be ignored i.e. 59.99% will be treated as less tha n 60% and 54.99% will be treated as less than 55%. *Proficiency in local language – For recruitment of Officer Scale I & Office Assistant (Multipurpose), proficiency in local language as specified below shall be an essential qualification:- o Candidates who have already studied the language of the State in standard VIII or any level above standard VIII in Government recognized Boards of Education/ School or having any certificate to the effect for standard VIII or any level above standard VIII would be considered proficient in that local language.